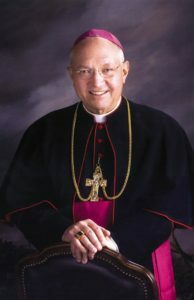 Bishop Robert G. Morlino has died. Let that sink in. We wish to extend our condolences to faithful Catholics everywhere, but especially to the faithful Catholics in the diocese of Madison, Wisconsin on the death of their Bishop, Robert G. Morlino, who died yesterday, November 24th. 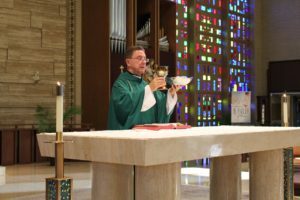 Bishop Morlino was installed as Bishop of Madison Wisconsin in 2003 and he began to make changes that inspired and heartened orthodox Catholics and caused much grief to liberal, modernistic Catholics. 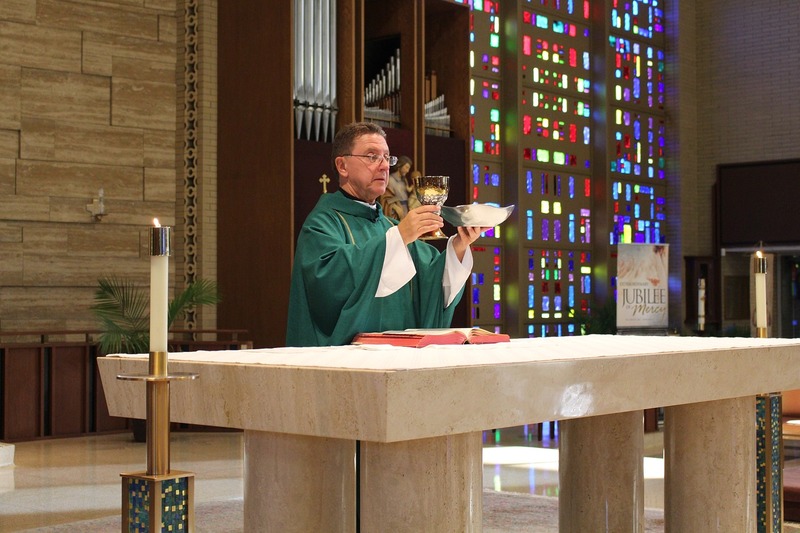 He loved the liturgy and he loved the Traditional Latin Mass. During his tenure, the Latin Mass flourished in his diocese. With love and firmness, he taught the unwavering truth of the Catholic faith, with no compromise. 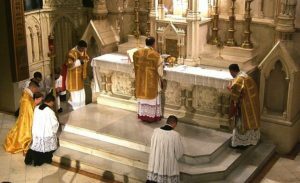 In September 2016, he announced that all Masses that he offered at the Cathedral parish would be offered ad orientem (facing the altar). This and many other changes that he made, did not endear him to many in the diocese who preferred happy-clappy, “All Are Welcome” Masses. The liberal Catholic publication National Catholic Reporter, lamented earlier this year how disenchanted Catholics in his diocese were. If even 50% of the statements it cited below is true, it only highlights how faithful Bishop Morlino was to Catholic teaching. Provided a diocesan home for Fr. John Zuhlsdorf, a blogger and frequent critic of Francis. Source. Just last year, a petition to Pope Francis was circulated which garnered over 7,000 signatures, to remove him from office. However, Bishop Morlino, Successor to the Apostles, did not become discouraged. Understanding that there is a faction in the Catholic Church that seeks to destroy the faith, Bishop Morlino recently made a statement in support of Archbishop Vigano, the bishop who blew the whistle on the homosexual and pedophilic ring in the Church. “However, I must confess my disappointment that in his remarks on the return flight from Dublin to Rome, the Holy Father chose a course of “no comment,” regarding any conclusions that might be drawn from Archbishop Viganò’s allegations. Pope Francis further said expressly that such conclusions should be left to the “professional maturity” of journalists. In the United States and elsewhere, in fact, very little is more questionable than the professional maturity of journalists. Having renewed my expression of respect and filial affection for the Holy Father, I must add that during his tenure as our Apostolic Nuncio, I came to know Archbishop Viganò both professionally and personally, and I remain deeply convinced of his honesty, loyalty to and love for the Church, and impeccable integrity. In fact, Arch. 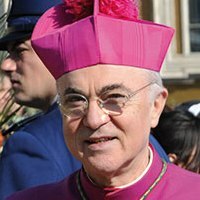 Viganò has offered a number of concrete, real allegations in his recent document, giving names, dates, places, and the location of supporting documentation – either at the Secretariat of State or at the Apostolic Nunciature. Thus, the criteria for credible allegations are more than fulfilled, and an investigation, according to proper canonical procedures, is certainly in order. I might add that my faith in the Church is not shaken in the least by the present situation. Similar situations, and worse, have occurred in the past – though perhaps not in these United States. It is time for us to renew our conviction in that final article of the Nicene Creed: Credo… et unum, sanctam catolicam et apostolicam Ecclesiam, which literally translated means, I believe the Church, as one, holy, catholic and apostolic. May our Blessed Mother, the Mother of the Church, and Mother of Bishops and Priests, intercede for us, along with St. Michael the Archangel, as we continue our battle against the ancient foe. ” Source. Faithful Catholics everywhere have lost a great shepherd & champion of the faith – a true Prince of the Church. Now That Bishop Morlino Has Died, What Can We Do? Bishop Morlino instituted so many positive changes and he was an inspiration to other bishops who wish to do the same, but are afraid. We must pray – pray very hard – for a worthy replacement. It would be a shame if a liberal bishop was appointed to undo all the positive changes. We must continue to speak against destruction of the faith, and we must pray for and demand fidelity to the Catholic faith. We must pray for the soul of Robert G. Morlino. May his purgatory be quick. Bishop Morlino, you have fought the great fight. Now enter into your rest. Requiem æternam dona ei, Domine. Et lux perpetua luceat ei. Requiescat in pace.